It's been seven years since Ball State has beaten conference rival Northern Illinois, but this year both teams come into the game evenly matched. The Mid-American Conference foes will battle for the Bronze Stalk Trophy, which was first presented in 2008, on Saturday. The rivalry between the two teams extends far before that, originally planting its roots in 1941. In the first battle between the teams, the game ended in a 6-6 tie. While Northern Illinois is winning the trophy series 6-1, the overall series record is at a 20-20-2 stand still. This season, the Cardinals and Huskies have a striking amount of similarities with how they have performed. Northern Illinois is a team that gets better as the game goes on, much like the Cardinals. Through the first half of the season, both teams have shown they can compete with some of the best competition in the nation. The Huskies lost their first game of the year 20-13 against the No. 1 team in the country, Ohio State. Ball State almost knocked off No. 17 Northwestern at Ryan Field in Evanston, Ill. on Sept. 26. While both teams have been competing well this season, they are each staring at a 2-3 overall record. Statistically, the two offenses are nearly identical. Northern Illinois averages 166 rushing yards and 203 passing yards per game. Ball State averages 191 rushing yards and 213 passing yards per game. The Cardinals are the third least penalized team in the nation this year with 17, while Northern Illinois has 32. The two teams average similar yardage per game; the Huskies sit at 369 compared to the Cardinals at 404. This season, however, Northern has been able to turn those yards into points more often, scoring 13 more points than Ball State. Both quarterbacks have shown their ability to move outside the pocket. Quarterback Drew Hare is the Huskies' second leading rusher, illustrating his ability as a dual-threat quarterback. Riley Neal is third in rushing for the Cardinals, 24 yards behind James Gilbert. Neal is going through a learning curve with the Cardinals, but has yet to throw an interception in four career games. “Like Coach Lembo said, there’s a little bit of a learning curve,” Neal said. “I experienced that last game; I struggled a little bit.”While their offense is similar, the defense is what sets them apart. 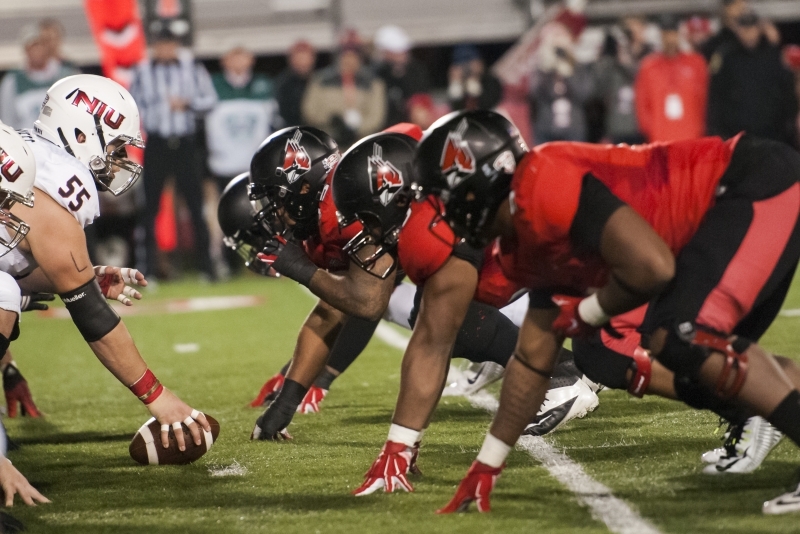 Northern Illinois allows an average of 353 yards per game, compared to Ball State's 472. Northern Illinois's ball-hawking secondary has dominated opposing offense and already has nine interceptions through the first five games. Lurray is tied for first in the Football Bowl Subdivision for interceptions on the season. Ball State's offense will look to exploit Lurray and the Northern Illinois defense and pick up its first win in three games. Kickoff is on Oct. 10 at 3 p.m. at Huskie Stadium in DeKalb, Ill. The game marks the second day game in four years between the rival schools.